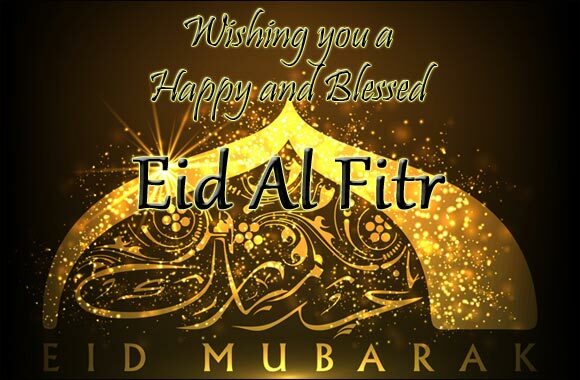 Eid Al Fitr and Eid Al Adha are the two major festivals in Islam. Eid Al Fitr, or the 'festival of breaking fast', marks the end of the holy month of Ramadan and the beginning of Shawaal, the 10th month of the Islamic lunar calendar. Eid al-Fitr is an important religious holiday celebrated by Muslims worldwide. The religious Eid is the first and only day in the month of Shawwal during which Muslims are not permitted to fast. The holiday celebrates the conclusion of the 29 or 30 days of dawn-to-sunset fasting during the entire month of Ramadan. The date for the start of any lunar Hijri month varies based on the observation of new moon by local religious authorities, so the exact day of celebration varies by locality. The festival is celebrated by the 1.6 billion Muslims across the globe. As you recite your prayers this Eid Al Fitr, may Allah bless you and make all your wishes come true!